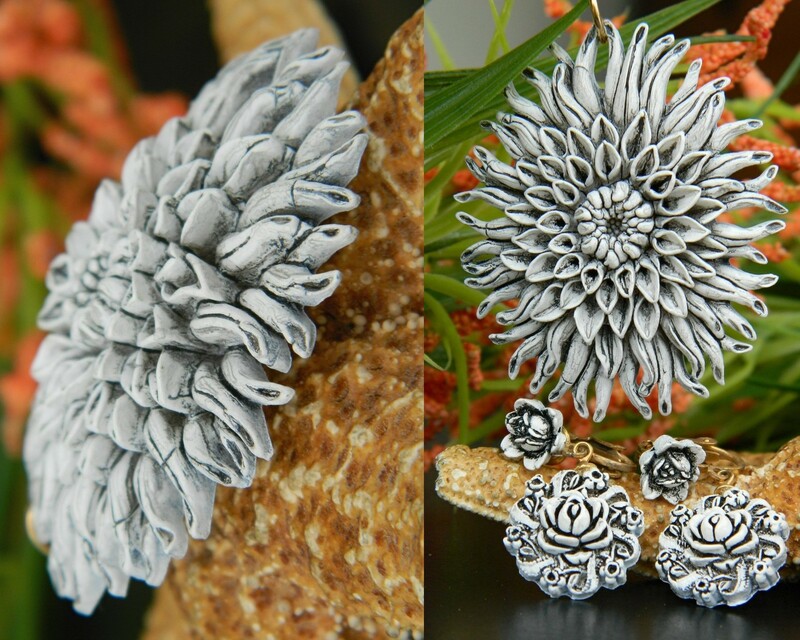 Vintage Plastic Flower Molded Bubblelite Featherlite Pendant Earrings Lightweight Featherlight Carved White Ivory Slate Gray Grey Clip Back Non-Pierced Detailed Floral Motif These vintage lightweight flower motif design earrings and pendant are most likely from the 1950s. 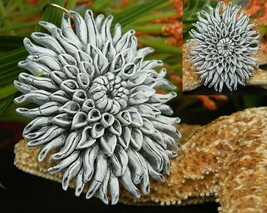 The flower pendant consists of a myriad of petals and reminds me of a Chrysanthemum. 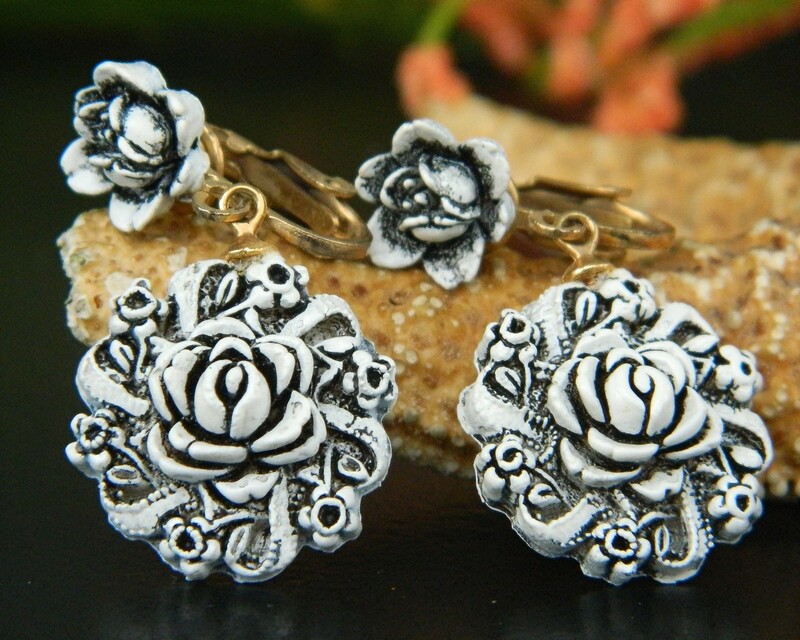 The earrings are more of a rose design. 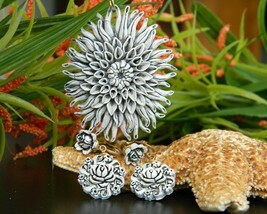 The earrings are not an exact match to the pendant, but they were worn as a set and blend together nicely. Although these aren't signed Featherweight, they are probably made from the same or similar material, a molded plastic that was called both Bubblelite and Featherlite. This type of plastic was advertised as being washable and unbreakable. These are white highlighted with silvery gray color wash and are highly detailed and deeply cut into the floral design. They are in excellent vintage condition with no chips or cracks and almost no wear. 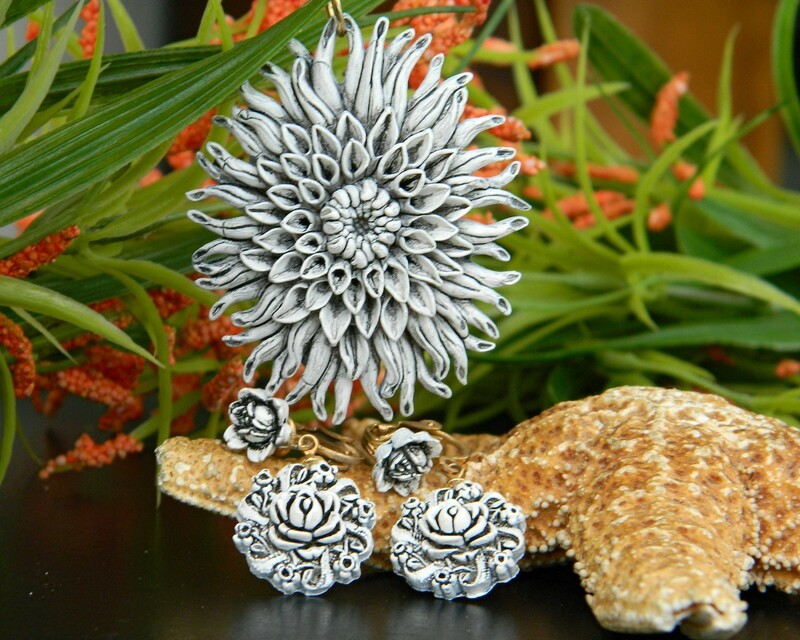 The earrings measure approximately 1 1/2 inches long and 3/4 of an inch wide. 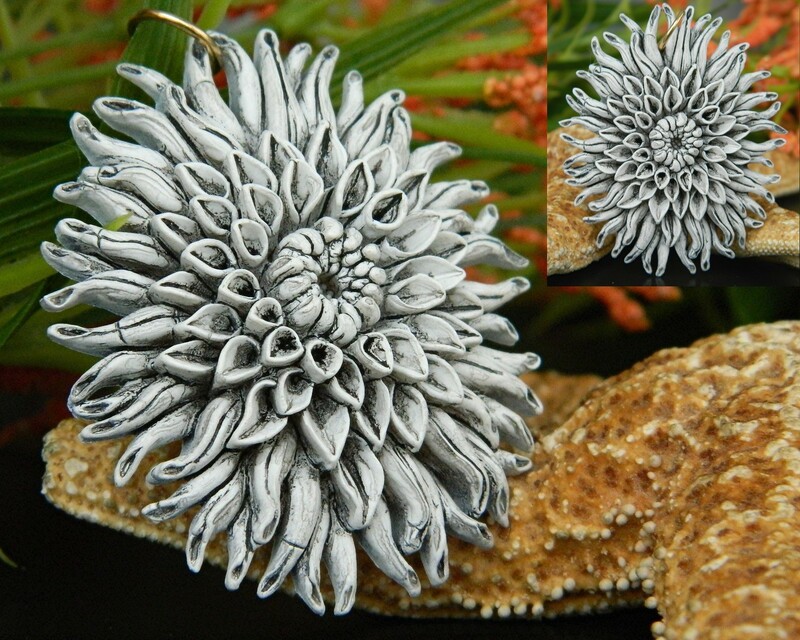 The pendant is 1 1/4 inches long and 1 3/4 inches wide. It has a small gold ring at the top to attach to a chain. This could actually be worn either vertically or horizontally with a simple change of the ring. It could also easily be turned into a brooch or a pin by gluing a pin fixture to it. 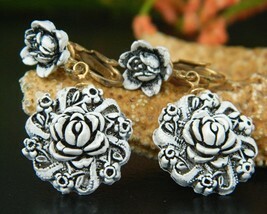 These extra light earrings are a perfect accent for any evening dress or casual jeans. You won't even know you are wearing them they weigh so little. They would make a great addition to your collection of vintage plastic jewelry. These will be sent 1st Class Mail with Tracking/Delivery Confirmation. For more information about me and booth policies, click on Starfisher's Stars at the top of this page, it will take you to the main page of my booth. Thanks for visiting!